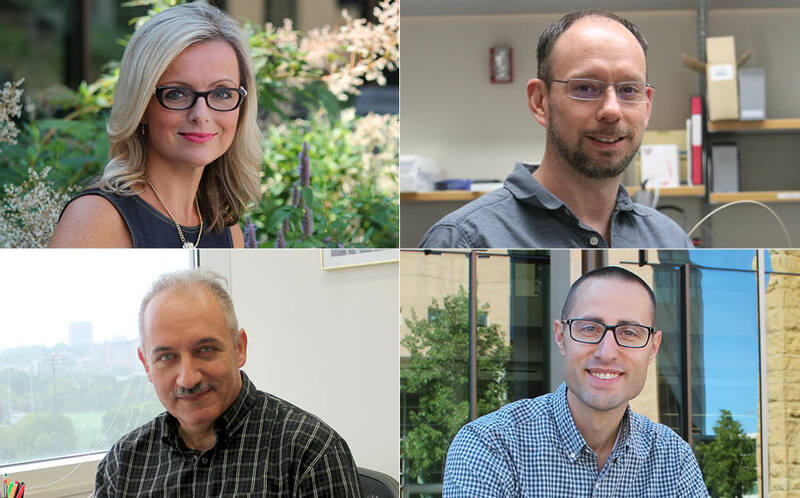 The School of Pharmacy has promoted Professor Beth Martin, Professor Tim Bugni, Professor Sandro Mecozzi, and Associate Professor Joe Zorek. 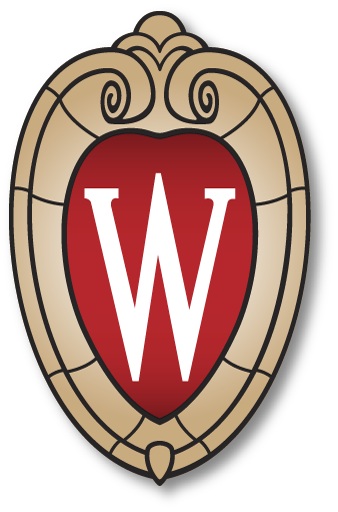 With nearly 60 faculty members, the University of Wisconsin–Madison School of Pharmacy is known as a global leader in research, education, and pharmacy practice. Building on the School’s strength in developing faculty and research excellence, the School is recognizing four gifted faculty members with promotions. Martin (BS ’90, MS ’03, PhD ’06), assistant dean of Assessment, Teaching, and Learning and professor in the Pharmacy Practice Division, has been a faculty member at the School for two decades. Beth Martin, Professor in the School’s Pharmacy Practice Division. Throughout her tenure at the School, she’s consistently worked to enhance the learning experience for PharmD students as well as students around the UW–Madison campus. In addition to health care and pharmacy—which permeate decades of her family’s history—teaching has always been her passion. The Wiederholt Prize-winner and elected fellow of the American Pharmacists Association’s Academy of Pharmaceutical Research and Science is a model of educational leadership. She is also a fellow of the UW–Madison Teaching Academy, which connects instructors to enhance teaching on campus, and she worked with the group to get another initiative off the ground: UW TEaCH (Teaching, Exploration, and Collaboration Habitat). In the School of Pharmacy, she’s developed tools and instruments to measure student outcomes, supported a teaching certificate for participants in the School’s Community Pharmacy Residency program, and helped create a “course snapshot” tool to track changes, student performance, learning modalities, and evaluation methods for courses. Even beyond the walls of Rennebohm Hall, Martin has influenced the design of training and education programs for the Teaching and Learning Symposium on campus, for the Pharmacy Society of Wisconsin, and even for international workshops. “Your little successes along the way culminate to this finale of being a full professor, and people know what it means to accomplish this,” she says. But now it’s time to prepare for what’s next: mentorship, leadership, and collaboration. With three new faculty members joining the School, she’s looking forward to setting them up for success as instructors. Learn more about Dr. Martin’s career. Zorek, director of interprofessional education (IPE) at the School of Pharmacy and associate professor in the Pharmacy Practice Division, is shaping PharmD students’ development as pharmacists and as members of the health care team. His research in IPE is influencing not only pharmacy education, but education in a breadth of health professions. Joe Zorek, associate professor in the School’s Pharmacy Practice Division. He set out to address that question several years ago, first through a comparative analysis of accreditation standards across 10 health professions. Published in the Journal of Interprofessional Care (JIC), this work has garnered attention from leading health care organizations, including the Institute of Medicine, and has been cited in prestigious publications such as the New England Journal of Medicine. This analysis highlighted the importance of consensus in interprofessional education, as well as a need for valid and reliable ways to measure IPE outcomes. To address that need, Zorek developed the Student Perceptions of Physician-Pharmacist Interprofessional Clinical Education (SPICE) instrument, which received national attention as the recipient of the American Association of Colleges of Pharmacy’s 2014 Rufus A. Lyman award. Subsequent refinements to the instrument to broaden its applicability beyond medicine and pharmacy have received national and international attention, most notably with a Baldwin Award from JIC in 2017. To date, Zorek has granted 120 permission requests to use the latest version of the tool to educators and researchers across 30 states and eight countries. Consensus among health professions is at the heart of Zorek’s continued mission to build an innovative and robust interprofessional education program at the School of Pharmacy in collaboration with partners in programs and schools across campus, including the UW–Madison Center for IPE. He also introduced the “Pathways in Pharmacy Practice” course that PharmD students now take in their first semester. The course is intended to teach students about the varied practice settings and opportunities available to pharmacists, and to highlight the critical role pharmacists play on interprofessional teams. Starting in Fall 2018, the Pathways course will also incorporate three distinct IPE experiences, including a clinical simulation with first-year medical students. “It’s been exciting to work with my colleagues in the School of Pharmacy and across campus to make interprofessional education an integral part of becoming a health professional. I think this work has positioned the UW–Madison School of Pharmacy on the leading edge of IPE,” says Zorek. Learn more about the School’s Interprofessional Education Program. In the Drug Discovery Core of the Pharmaceutical Sciences Division, Professor Bugni specializes in natural products discovery, particularly in the areas of infectious disease and cancer. Tim Bugni, Professor in the School’s Pharmaceutical Sciences Division. Shortly after joining the School nearly 10 years ago, Bugni started collaborating with Professor Cameron Currie of the UW Department of Bacteriology, and Professor David Andes of the UW Department of Medicine. Their work eventually led to UW–Madison becoming home to the Center of Excellence for Translational Research (CETR)—one of 14 CETRs around the country, created through the National Institutes of Health’s National Institute of Allergy and Infectious Diseases. The CETR at UW–Madison is focused on antimicrobial drug discovery from co-evolved symbiotic communities. The Bugni Lab and CETR made headlines with the discovery of keyicin, an antibiotic created through relatively new co-culturing techniques. And, Bugni says, that his group filed three invention disclosures with the Wisconsin Alumni Research Foundation in July 2018—two in the area of infectious disease, and one with the potential to inhibit cancer metastasis. Bugni expects that this should yield three patents later this year. “Two of these are the result of four years of hard work at the Center of Excellence for Translational Research,” Bugni says. Bugni, who won the 2018 Waters Corporation Award for Excellence in Natural Products Innovation, also co-founded Symbiotica with his CETR partners in 2017, to help their products get to market. So far, Symbiotica has worked on the development of one lead antifungal agent. Learn more about Dr. Bugni’s career and research in the Bugni Lab. Joining the School nearly 20 years ago in the Drug Delivery Core of the Pharmaceutical Sciences Division, Professor Mecozzi and his research group were the first to develop new fluorinated biomaterials for drug delivery. Sandro Mecozzi, professor in the School’s Pharmaceutical Sciences Division. “It was risky for a number of reasons, but it worked out quite well, and we have a number of patents that came out of that research,” says Mecozzi, including a patent for a formulation for volatile anesthetics to be administered intravenously. “We were the first in the world to come out with a formulation that would allow the IV delivery of fluorinated anesthetics,” says Mecozzi. The big advantage with IV delivery is that providers can dose exactly the amount needed, instead of saturating the body, and the body reacts more quickly, too. Mecozzi and his team have also developed new biomaterials that can be used for the delivery of anticancer agents, antibiotics, antifungals, and, more recently, immunotherapeutics. The process of designing, building, and testing new materials can take anywhere from a couple of years to a decade or more, but he knows the possibilities are worth the patience. “We’re looking for new molecules that will represent the future,” he says. One example of what the Mecozzi Lab is working on now is ionic liquids, which were originally developed for use in the oil industry. These commercially available compounds are usually extremely toxic—some of the most toxic materials he’s ever tested. But in re-designing and building new ionic liquids, he can tap into their unique properties, such as to deliver siRNA (silencing RNA), which can be very powerful anticancer agents. His drug delivery expertise will also soon be leveraged in the new Wisconsin Center for Nanobiosystems (WisCNano). Created in partnership with fellow School of Pharmacy Pharmaceutical Sciences Professors Seunpyo Hong, Glen Kwon, and Lingjun Li, the new center aims to bridge a gap between drug discovery and delivery to enhance the development of therapeutics. “With the wonderful research opportunities that I have in collaborating with colleagues at the School of Pharmacy as well as colleagues throughout the UW campus, I couldn’t imagine a better research environment,” he says. Learn more about the WisCNano initiative.